Wayne Mansfield: What's in a name? I am reading a book on personal Power by Haim Witz!! 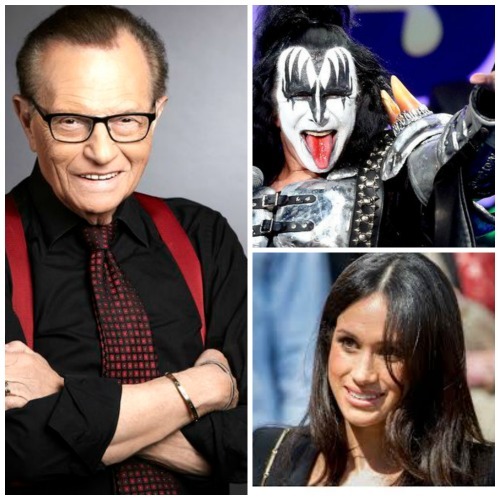 Hang on for a moment and I will tell you who you might know him as... but first there will be millions of babies called Harry or Meghan in the next few years as parents [ usually mothers ] name their new babies after famous people as if that will propel them to fame. Born in Israel in 1949 just after the second world war and immigrated to the US by the age of 5... and he tells how and why he changed his name first to that of his mothers maiden name KLEIN after his father abandoned them to then Gene after his favourite western TV show [ Bat Masterson starring Gene Barry ] and finally morphing into Gene Simmons of Kiss - now worth north of $100 million and the master of self promotion. In the telling of choosing his name Gene goes through how you need a POWER name to have POWER bestowed on you - anyone know Larry KIing's real name?? And the giving of Power names to babies doesn't work because they are often the parents dreams - not the babies... want more from life - ever thought of changing your name. Got those thoughts running... A friend of mine changed his life by ditching hid given name and becoming his alter ego.